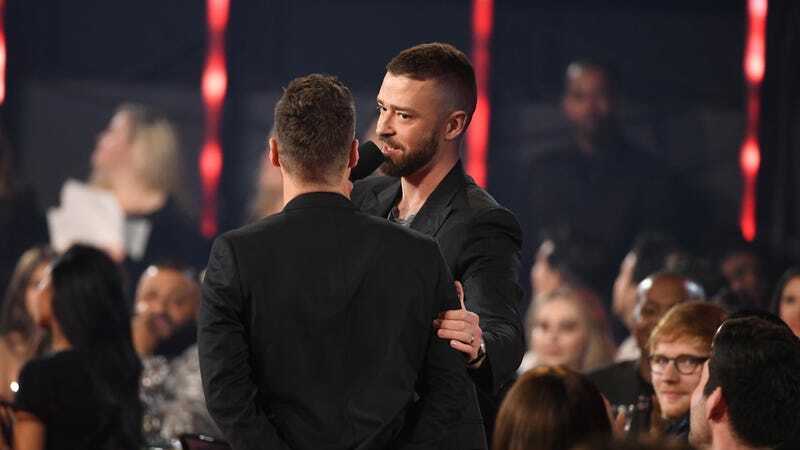 Justin Timberlake’s brand is some kind of gold standard—if it were publicly traded on the stock market, I would buy it, a lot of it, ‘cause his value only seems to go up with time, despite the fact that he, uh, doesn’t really do much to warrant our affection. After dressing up like the default screensaver for MacOS Sierra for the Super Bowl LII half-time show and doing one good song (“Mirrors,” tbh), Justin Timberlake is now going on tour, and apparently, a lot of people want to see him. Who knew? It is pretty staggering! This man just put out a largely terrible album, and we are, for whatever reason, choosing to give him so much attention (and money). Why? Whatever you are paying for JT tickets is not worth the five to eight minutes of gratification you’re going to get from hearing his one good song—again, “Mirrors”—performed live. Spend that on something else. A planet ticket. A really nice coffee marker. Skin care. Don’t spend your money on Justin Timberlake. You deserve better than that.